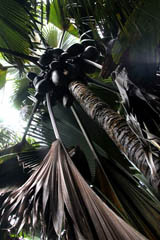 The Praslin Museum is the only of its kind in the Seychelles. It is a private-owned museum which aims at exhibiting the Seychellois traditions & culture in its purest form. We have a substantial collection of traditional artefacts on display such as traditional musical instruments. The museum is also proud of its fully functional traditional kitchen, the only one remaining in the Seychelles, from which you can enjoy the finest cuisine. 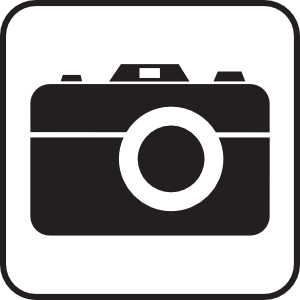 Visit the Praslin Museum through our video movie : click on the arrow! We organize a variety of activites for our visitors. 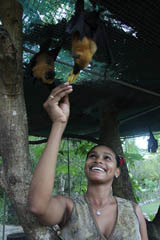 You are encouraged to feed our domesticated fruitbats, participate in the grilling of breadfruit, dehusking of coconut, traditional games for children, witness live tapping of palm wine & participate in the preparation of creole cuisine, amongst many other traditional activities which will give you a genuine taste of the our traditions. 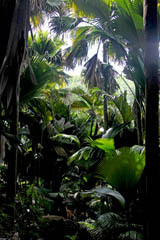 The museum also has a vanilla, patchouli and citronelle plantation and one of the most complete of endemic and medicinal plants of Seychelles. Thus, we are more than capable of scientific support for researchers and nature-lovers. Besides the attraction of our domesticated fruitbats, you can also see tortoises, blue pigeons and diferrent birds of the Seychelles, including endemic blackparrots which come to feed in our bilimbi trees. 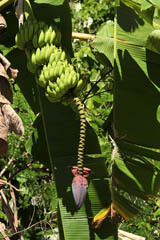 Come discover the traditional beauty of the Seychelles the Praslin Museum way. Praslin is the second biggest island of the Seychelles archipelago. It is situated at the north-east of Mahé. Praslin is known for its beaches, for the Vallée de Mai, botanical reserve, where many endemic plants grow and classified World Humanity Heritage by UNESCO in 1983. The "coco de mer", biggest nut in the world grows exclusively on Praslin Island, in the Vallée de Mai Valley, situated in the heart of the island. 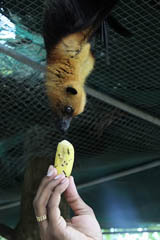 Feeding the fruitbats or playing with the tortoises : come and have a lot of fun at Praslin Museum. See you soon, at the Praslin Museum !! !